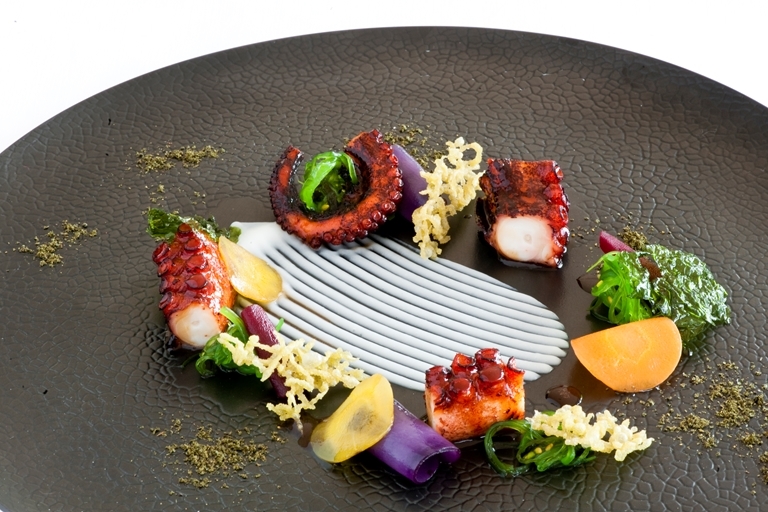 Like all seafood, finding the right balance between over and underdone when cooking octopus can be a challenge, but Francesco Apreda ensures his is perfectly tender by poaching the tentacles in a water bath before finishing them off in a frying pan to produce a gloriously golden crust. The chef completes this seafood starter by coating the octopus in a sticky miso and lime glaze, with crispy matcha tempura batter, colourful vegetable slices and a smooth Jerusalem artichoke cream adding the final colourful touches. Combining Indian spices and Japanese techniques with classic Italian cooking has made Francesco Apreda one of Rome's most contemporary chefs.